The areas resident black bear population will start emerging from dens in mid- to late April. Wildlife agencies and advocates are sounding warnings to prepare now to avoid human-bear interactions. 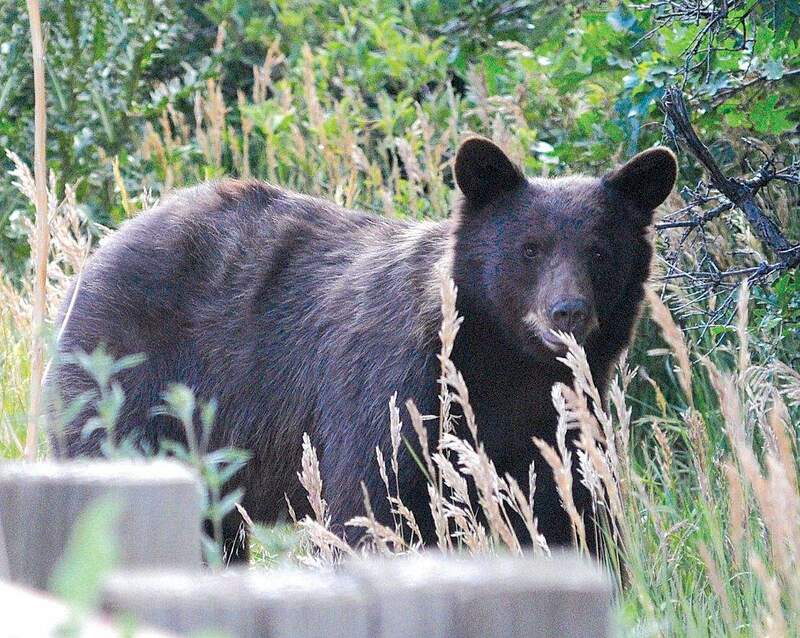 A hungry bear had easy access to food last summer in Durango. Bears become more comfortable around people the more they are exposed, and they grow bolder and more aggressive after each human interaction, said Bryan Peterson, director of Bear Smart. Durangos black bears have not eaten for nearly six months, and when they roll out of their dens in mid- to late April, theyll be hungry. Nuisance behavior led wildlife agencies and private land owners to put down 18 bears in Southwest Colorado last year, and Joe Lewandowski, spokesman for the Colorado Division of Wildlife, said its because humans werent responsible with their trash. We really like to say we dont have bear problems, but we have people problems, Lewandowski said. Bears rarely attack humans, but luring them into town with trash invites problems, officials said. Durango Resident Bob Gomez, who lives in Crestview neighborhood, said he encounters the hulking creatures on a nightly basis during bear season. During summer, its not uncommon for Crestview, on the western edge of town, to log dozens of bear sightings a week. Gomez said he now waits until morning to put his trash out. Bryan Peterson, founder and director of Bear Smart Durango, said human food is an easily accessible, high-calorie food source for bears. 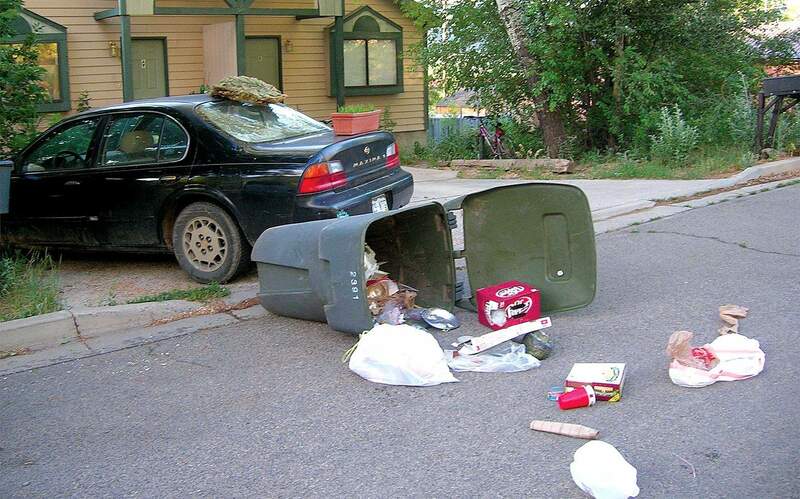 Because residents often dont prevent bears from raiding their garbage, bears learn to return and become a problem. Increased exposure to people causes bears to grow bolder and more aggressive, said Peterson, who has run Bear Smart for nine years. Lewandowski said when the Colorado Division of Wildlife determines a bear is threatening, it is captured, tagged and relocated. If the bear maintains its threatening behavior, it is recaptured and humanely killed. In early spring, high-altitude snow and scarce vegetation push bears into the lowlands to search for food, putting them closer to people, Peterson said. A bears sense of smell is about 100 times stronger than a humans, and when they sniff out trash, the source had better be secure, he said. If you have trash available to a bear, it will likely be back, and it will likely wake you up again, and many, many more times until you resolve why you have a bear on your property, Peterson said. The citys code enforcement office issued 100 notices of garbage-storage violations in 2010, the first year the citys wildlife ordinance was in effect. The ordinance, which goes into effect April 15, says if wildlife strews trash, a householder or business, after a courtesy warning, must lease or buy a bear-proof garbage container or store their trash in a secure building. Wildlife-resistant containers are available for lease for $4 a month through the city. Under county ordinances, trash containers must be locked or latched to prevent wildlife access, and residents must put out their trash after 5:30 a.m. and return it to storage before 9 p.m.
Peterson said bleach or ammonia  not to be used in combination to avoid toxicity  helps reduce the odor of garbage when applied to the surface of the container. Bird feeders, another major bear attractant, are also a human-supplied food source for bears, he said. Peterson suggests residents either take bird feeders down when bears are active, bring them in at night or not put them up to begin with during the six-month bear season. Lewandowski said bird-baths and flowers are good alternatives for people who would like to attract birds and not bears to their property. He said fruit trees, compost piles and chicken coops also are major bear attractants. Unless fruit is brought inside to ripen, compost piles are fenced off and chicken coops are strong and secure, residents can expect more visits from bears, Lewandowski said. While some have suggested it, Peterson doesnt believe more bear hunting is the solution. He said hunters tend to kill wild bears that have never been in conflict with people, he said. Even if all the urban bears that cause problems are shot, more bears would return in the future because the trash problem would still not be addressed, he said. b Keep trash in wildlife-resistant containers or store trash containers in a secure building. b Set trash containers at curbside the morning of collection only, and occasionally wash containers with bleach to reduce odors. b Take down bird feeders, including hummingbird feeders, during bear season or make them inaccessible to bears. b Feed pets indoors and store pet food in a secure container. b Be mindful that fruit trees, compost, gardens, poultry and livestock attract bears. b Clean barbecues after each use. b Never leave food in vehicles. b Keep all lower windows and doors tightly closed. b Consider replacing lever-style door handles with round knobs that bears cant open. b Dont allow bears to become comfortable being near your home or property. b Never feed bears or try to approach them.